In this section you will find the main spare parts for Barreiros tractors. The search is very easy, as you can do it by product and/or by Barreiros tractor model. The products have two reference types: the Barreiros OEM reference and the Fuster spare part reference, manufactured by Repuestos Fuster, with the same quality guarantees as the original but at a cheaper price. At Repuestos Fuster, we manufacture non-original spare parts for a large number of Barreiros tractor models. Although they are non-original spare parts, the quality is more than guaranteed, as the production process is subject to demanding controls affecting both the materials and also covering the whole preparation process, from beginning to a rigorous finish and final packaging and labelling. We have dozens of parts for Barreiros tractors, valid for hundreds of different applications, and 99% of the items we manufacture are permanently available in stock, as the objective of Repuestos Fuster is to supply them within 24 hours so that the Barreiros tractor standing idle in the field is put into operation as soon as possible. Within our stock you will be able to find parts that are no longer easily found on the market due to their age, technical complexity or price. Something we take into account when making most of the spare parts is that they are integrated; in other words, we do not limit ourselves to producing the main spare part, but we also prepare additional parts so that you can replace a complete assembly and put the vehicle back into operation without needing to contact more than one supplier, as this delays the repair and increases costs. Therefore, as well as the spare part in question, we also supply nuts, bolts, seals, gaskets and other essential accessories. 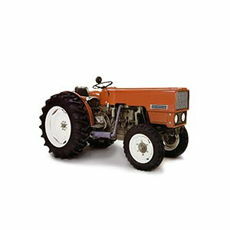 If you want a specific part for a Barreiros tractor model, you can search for it using Internet search engines, where you enter the product, the Barreiros name and /or the tractor model. If you know the item, you can find it by entering this on the same search engine. You can also find an item intuitively using the Barreiros tractor spare parts menu, where all the available products are classified into nine different part groups to guide the search (4WD front axle, 2WD front axle, Electrics, Hydraulic lift, Clutch, Linkage, Brakes, Engine and Transmission and power take-off), which are divided into several subgroups with the number of the products shown. After clicking on the name, the Fuster and OEM references will appear so you can place the order.